Learn how to make trendy handbags and purses using your old pair of jeans. There are two things most women can’t live without – jeans and handbags. Handbags help us carry essentials like cellphones, lipstick, make-up, hair accessories, and perfume. Jeans, on the other hand, make us look stylish and are comfortable. But sadly, no matter how much we love our jeans, they sometimes get worn out, torn or don’t fit anymore. The good news is that just because your jeans are worn out it doesn't mean you should throw them away, as there are clever ways you can repurpose your jeans to make them into trendy handbags. 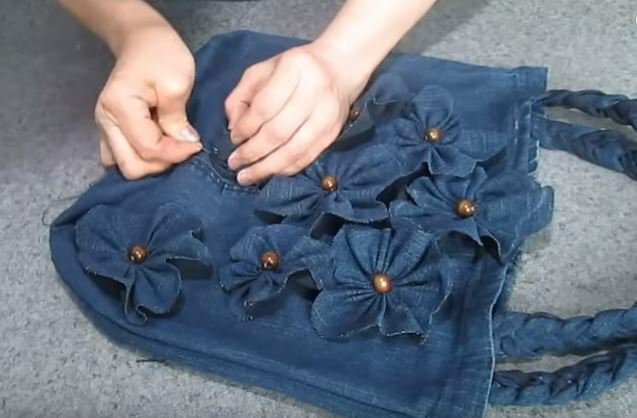 The below videos will show you how to transform your old pair of jeans into a sling bag, cellphone bag, wallet, and even a purse.